UltraBoard Edge Band is a premium mounting substrate designed to deliver added depth in all mounting applications. Sheets are available in 3/4” and 1-1/2” thicknesses and feature a durable edge banded finish available in black or white. Edge Band boards feature a high-tack acrylic adhesive pre-coating on one side, and are available in 10 pre-cut sizes. Board lengths and widths are undercut by 1/8” to facilitate final trimming for perfect edge-to-edge facing. Four pre-drilled holes are located in the back of the board to provide for easy installation or hanging. 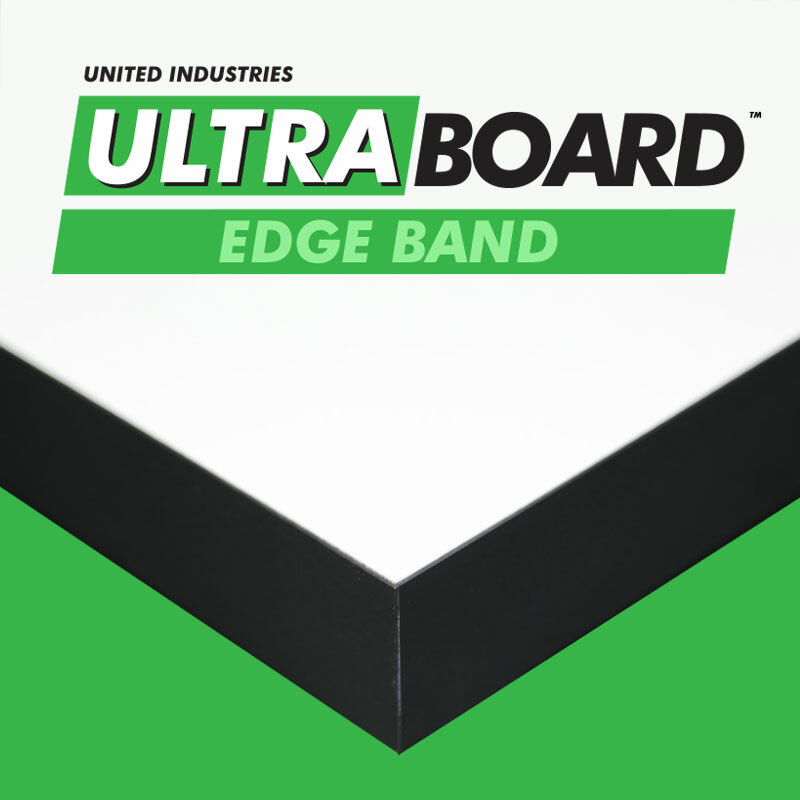 Ultra Board EdgeBand is a premium mounting substrate designed to deliver added depth in all mounting applications. Sheets are available in 3/4” and 1-1/2” thicknesses and feature a durable edge banded finish available in black or white. EdgeBand boards feature a high-tack acrylic adhesive pre-coating on one side, and is available in 10 pre-cut sizes. Board lengths and widths are undercut by 1/8” to facilitate final trimming for perfect edge-to-edge facing. Four pre-drilled holes are located in the back of the board to provide for easy installation or hanging.